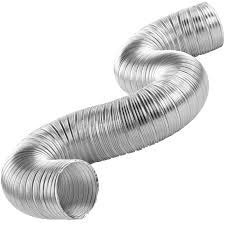 We are into offering Flexible Ducts. 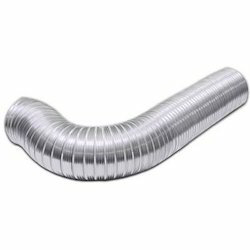 These Flexible Ducts give high performance along with trouble free functioning has made our range a requisite requirement for various industries. 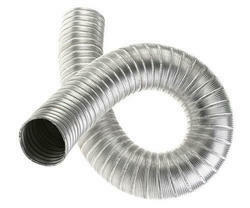 These Flexible Ducts are used for the purpose of controlling angular position. Renowned for their durability, these Flexible Ducts are equipped with motor, control mechanism, high quality components which combine together to improve their overall performance. 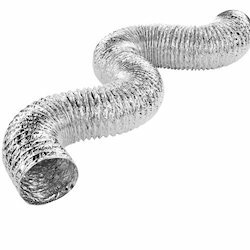 Decorative Ducts are newest type of ducts made of colored polyester covering on aluminum or OPP (on demand) and high steel wire. Suitable for interior like Auditorium, Restaurant, Banquet Halls and Shops, etc. 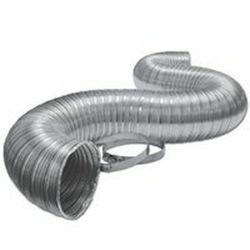 insulated as well as un-insulated ducts are available. Max Recommended Working Pressure : 8” w. g.
Our Aluminium Ducts are manufactured from premium grade aluminium and offered to the clients in various sizes. 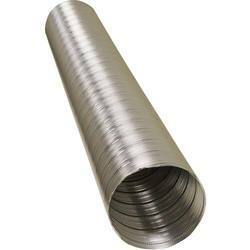 These find application in air conditioners, exhausts and ducts, due to which these are highly demanded in the domestic market. We only deliver quality-tested products that are heat resistant, leak proof, flexible, durable and exhibit excellent ductility. Diameter : 4" to 18"
Transferring hot air and chemicals through a fireplace flue is heavy-duty work.The use of improper Chimney Ducts can lead to complications such as fire hazards, structural damage to the Chimney, and hazardous materials and fumes coming back into the building To handle the high temperature operating conditions, we recommend using heat resistant a stainless steel or an aluminum Chimney Ducts. At ENVIRO TECH, we have multiple Flexible Chimney Pipe options to provide you with the necessary tools for safe and effective operation.Corrosion is a serious issue that significantly reduces the lifespan of a fireplace flue. 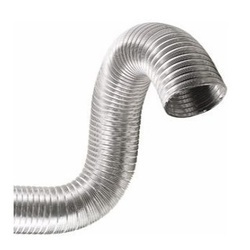 Fortunately, stainless steel and aluminum resist corrosion damage caused by moisture, chemicals, and fumes.Our stainless steel Chimney Ducts are an excellent long-term investment because they are resistant to chemicals and materials that would cause severe damage to clay and brick Chimney Ducts Along with great resistance to corrosive materials, the stainless steel construction of some our hose materials is heat resistant up to 1650 degrees Fahrenheit. 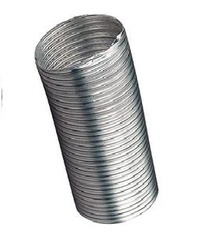 We are offering Aluminum Ducting Pipe to our client. With rich expertise, we offer our clients a wide range of Aluminum Flexible Duct Pipe which is constructed using special aluminum alloy. These prevents our product from corrosion and metal fatigue. The fabrication of our machines help us in producing a continuous lock seam. 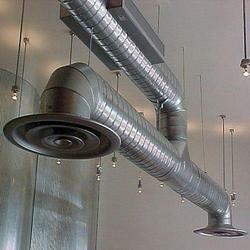 This allows the duct to be pulled open, compressed, bent and re-bent without any leakage. Further, these results in not being dry rot when heat aged. These can be installed with severe bends. Apart from this, these can also be installed in unlimited lengths while maintaining an unrestricted diameter. Our range is conveniently boxed in 5 foot, 10 foot and 15 foot lengths. It is compressed to nearly 3 times its original length. This ensures convenient shipping and handling. Static Pressure – negative 12” W.G.